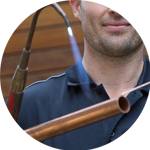 The Handy Squad have been working within the City of London since 2005, gaining an unrivalled reputation when it comes to plumbing services. 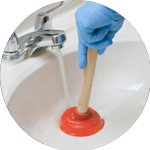 Our team of exceptional plumbers have the required skillset to compete any plumbing task in an efficient and cost-effective manner. For over a decade, our plumbers have been seen patrolling the City of London in their trademark yellow vans. 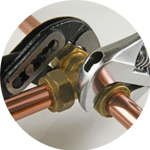 The experience they have gained ensures they can handle any plumbing issue with ease. 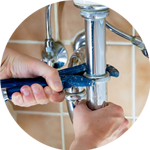 Your plumber in the City of London will be able to assist with anything relating to; Replacements, Unblocking, Installations and Repairs. The City of London is the heartbeat of the capital. London is known for having a powerful business district and hosting the second largest banking network in the world, only being surpassed by New York. We also have a Handyman in the City of London for general odd jobs, as well as specialised tradesmen such as decorators or electricians in the City of London. All our teams have the required knowledge and expertise to ensure that your building is both functional and safe. To book your handyman, electrician, decorator, carpenter or plumber in the City of London, fill out our online form.